SMDS is Vela’s flagship market data product, which allows clients to consume market data from over 130 exchanges and other trading venues globally. Its small hardware footprint reduces server and datacenter costs, while offering some of the lowest latency in the direct feed handling business. 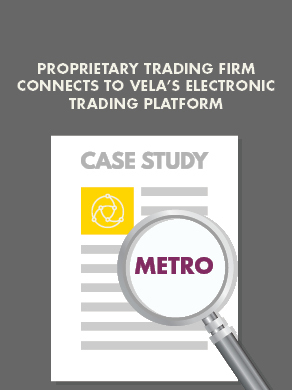 Vela’s mission is to remain the technology leader in the direct feed handling software business and continue to expand our capabilities to cover the liquidity venues where our clients can find alpha. Over the last quarter, Vela has released seven new feed handlers to extend our inventory to support additional Equity, Option, Fixed Income, and Commodity trading venues. *With the two new ISE feed handlers, Vela clients can consume market data after ISE’s move to the Nasdaq trading engine. All new feed handlers are available immediately.